Update: Things have gone from "Looks like a weird software bug" to "Damn, this could well be a serious hardware issue". As some users had been suggesting, the problem does indeed link to use of 2G. However, it turns out that the issue can be replicated by the use of 2G even on another, proximate phone. As you can see in the video demonstration by kongzs7 below, the volume rocker keys' sensors are set off even when the phone is only at the bootloader. This absolves Android 4.0 from blame, and suggests either an issue with the internal hardware, or possibly the firmware of the device, both significantly more problematic to sort out. Testing shows that the interference is caused by use of 900 MHz 2G, a frequency found on many European networks. Update via @Nerdtalker. Original post follows. Despite receiving significant praise from the review posted so far, not even the new Galaxy Nexus is immune to the now-familiar phenomenon of bizarre early-adopter issues. 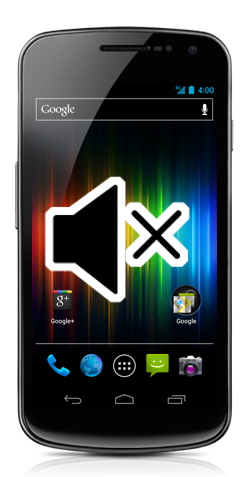 Scores of recent buyers on the XDA-Developers forums are reporting an issue with the volume control rocker on their phones. The phone will mute itself, and then respond erratically to presses on the volume rocker, if it responds at all. Through repeated testing, several users have come up with a theory that appears to link the issue to the phone's radio, specifically operation in 2G data mode. While it seems like a strange connection to make, the number of people corroborating it indicates strongly that such a link exists. As you can see in the Galaxy Nexus's status bar, the phone is on a G[PRS] data connection, rather than the 3G or H[SDPA] indicators. There are extensive threads on XDA regarding this issue, where owners are delving deeply into the issue, parsing through logs in an attempt to determine what exactly the cause of the issue is. Check 'em at the source, below, and star the issue at Google Code to help rectify this problem speedily. Thanks for the tip, Dead Last!